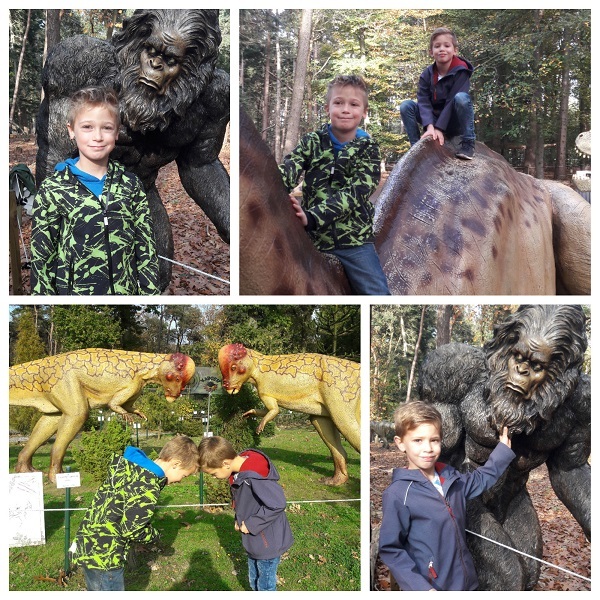 Last week, the boys had Fall break. They went to holiday care for two days, the rest of the week I was at home. Which meant we had time to do some fun stuff together. Our boys are fairly enthusiastic dinosaur fans. 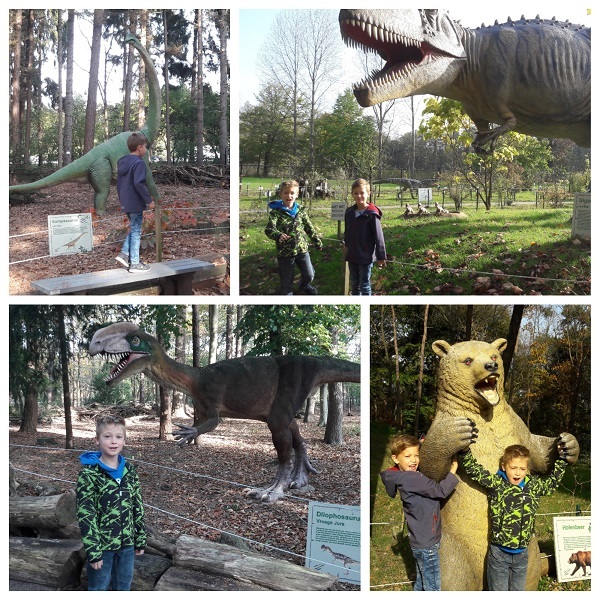 It has almost become a tradition to visit a beautiful park, Dinosaurierpark Teufelsschlucht, when we’re on holiday in the Eifel. 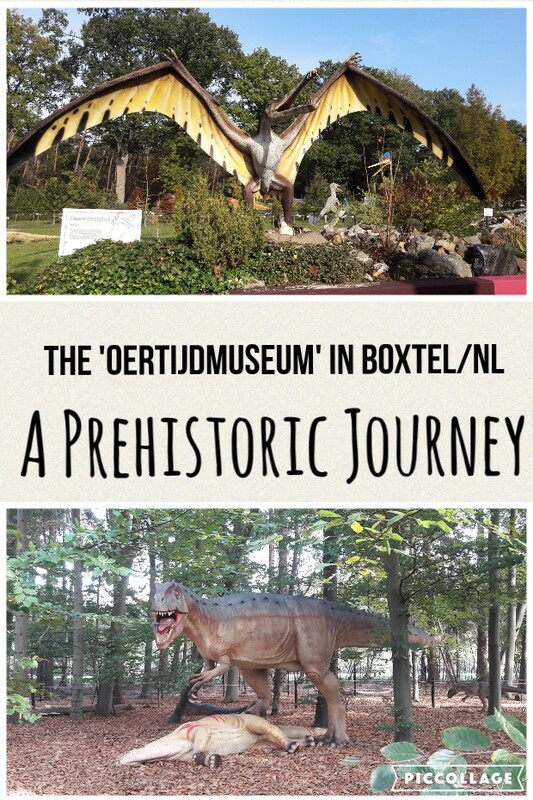 But we have quite a few cool parks and museums in the Netherlands as well, like the Oertijdmuseum (prehistoric museum) in Boxtel. The Oertijdmuseum is relatively close to where we live, just a 45-minute car drive away. I pass it every time I return home from work and always think: oh yes, we really have to go there again some time. We’ve been there about 3,5 years ago and we all loved it. The Oertijdmuseum has an indoor and an outdoor part. 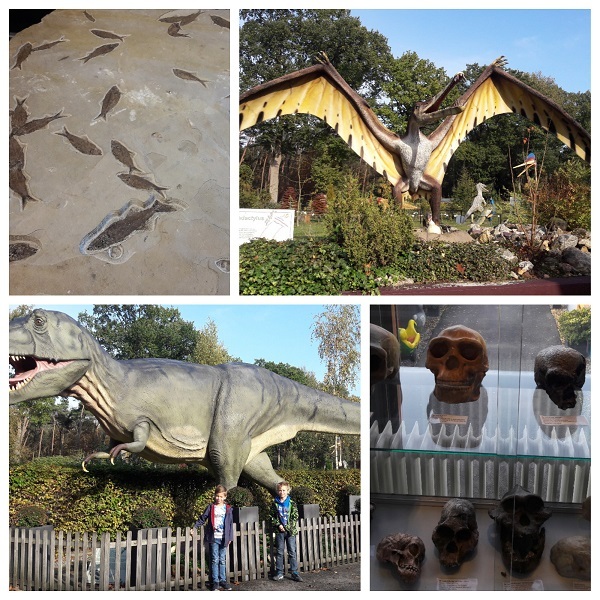 The indoor part is the museum, with all kinds of fossils, models of dinosaurs and other animals and skeletons. Some of the dinosaurs are animated, meaning that they move and make noise. If you don’t expect it, it can give a fair fright. But really scary? No, not at all. The museum is also constantly working on innovations. 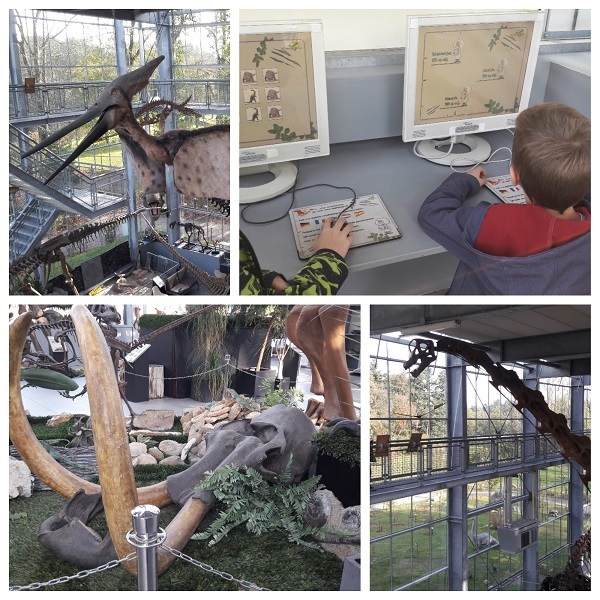 The first time we’ve been there, there were already a few interactive columns, but now there were computers in several places, where the kids could play interactive games, learn more about dinosaurs and answer questions. You can also find numerous boards with questions you can answer with ‘correct’ or ‘wrong’. When you pull up the bottom half of the board, you will find the answer and an explanation. If you want, you can do educational treasure hunts and prehistoric games. At the front desk, you can ask for free questionnaires and instructions. The treasure hunts are also available in a free app. 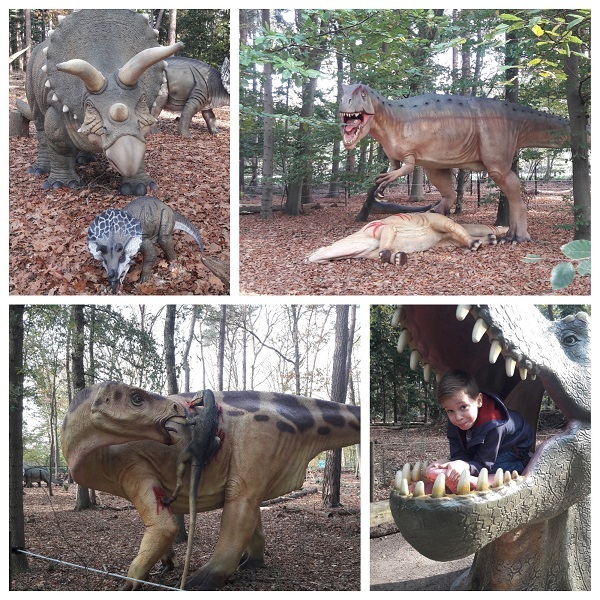 Outside, you will find a beautifully designed park in the woods, with life-size dinosaurs everywhere. 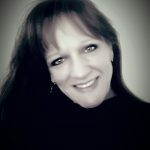 A wonderful walk and there is so much to see. We were extremely lucky and got beautiful weather. Not too cold and sunshine all day long. After the walk, the boys were able to burn up a little extra energy in the outside playground. Once we got back inside, we had a little lunch snack and the boys watched some movies at the theatre and played on the computers a bit more. Before we went home, I let them choose something small from the souvenir shop. There is also something new at the Oertijdmuseum. A T.rex has escaped! Starting from the Oertijdmuseum, you can go to the city centre of Boxtel to find it. And not just the T.rex, but also a few other dangerous dinosaurs have managed to escape. 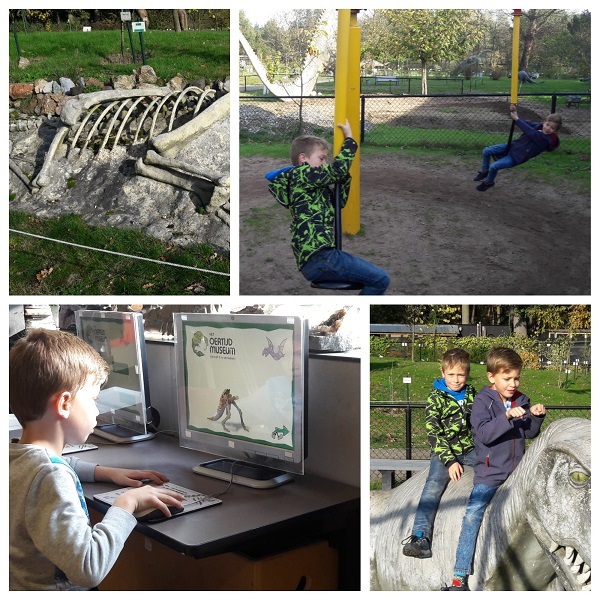 You can only spot the dinosaurs with the Dino Hunter Boxtel app. 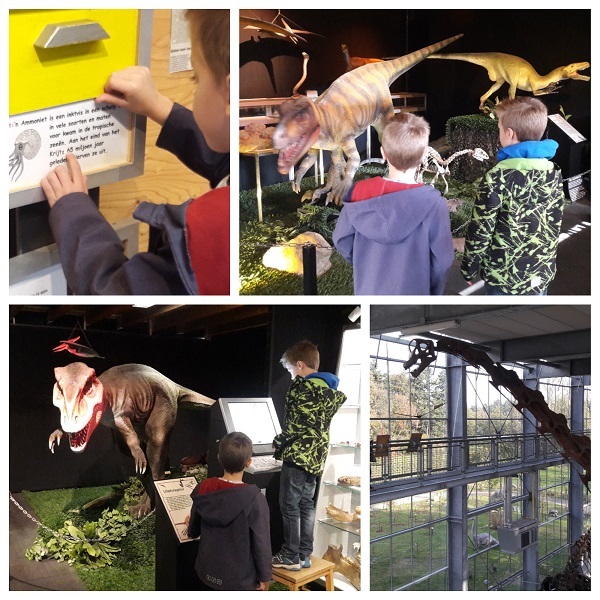 We didn’t go on that super fun and exciting hunt, but if you would like more information, check out www.dinohunterboxtel.nl. We will definitely keep this in mind for our next visit. This was our second visit at the Oertijdmuseum and definitely not the last. We’ve had loads of fun again. It’s not a big park/museum, so even those kids with a short attention span will enjoy it. And for the real diehard fans, there will be enough time to do a second round through the park. And not unimportant: the entrance fee is quite democratic. For more information and opening times, check their website at www.oertijdmuseum.nl. 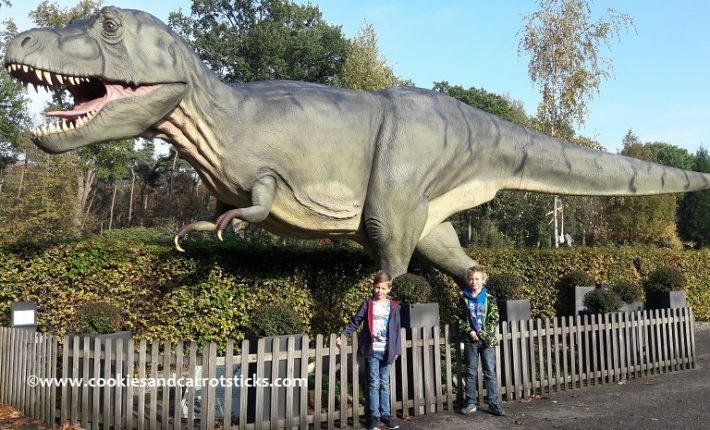 Do you know a dino-fan who would love to visit this park? Hartstikke leuk! Wij deden dit soort dingen ook erg graag met onze kids toen ze kleiner waren. En zelf genoot ik er ook van! Oh. Dat zou hier ook in de smaak vallen. Ik kende het niet. Bedankt voor de tip. Is echt heel leuk! Ook prima om op een woensdagmiddag te doen. Wat een leuke foto’s. Nu wil ik hier helemaal graag naar toe. Dank voor deze eerlijke review. Mijn jongens zijn ook gek op dino’s, wel nog erg klein, maar ik weet zeker dat ze het leuk zullen vinden. Echt wel. Toen wij er waren, waren er een aantal gezinnen met kleine kinderen, die hebben zich op en top vermaakt daar.